A mishmash of Cooking, Food, Recipe and Kitchen links. 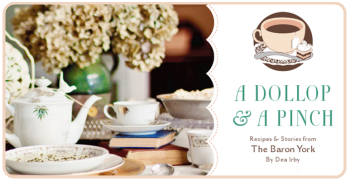 Dea Irby has created a lovely cookbook and blog to go along with that. We’ve been privileged to be able to include a recipe here from Deas’ blog — Pumpkin Cookies — It sounds yummy and delicious! I’ll be baking these little gems this weekend and if I am lucky my grand-sugars will be in attendance with small hands to help in the effort! We followed this blog right away. 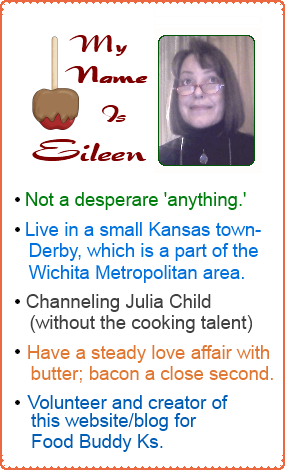 Although these are not all original recipes from Nancy’s Kitchen, she is on top of cooking, and recipes on the web. We liked her style and her new kitchen too! The Todays Recipes and Recipe Chefs blogs seem to be carrying the same recipes but with slightly different formats altho’ the overall look is basically the same. At any rate – we’re loving the recipes! Follow this fellow at Todays Recipes and/or Recipe Chefs on Twitter. Two accounts there too! Heh, I guess he’s got it covered well! Thanks Kevin for some scrumptious sounding recipes. Seems as though much of the content is dated a while ago, but recipes never lose their allure. Link to The FoodBuddyKs Blog/Website. Link to us from your blog or website. 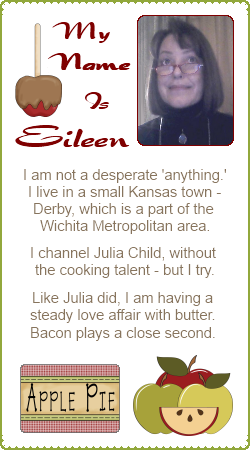 Recipes and articles from the kitchen’s of home cooks across Kansas, and the U.S.A. Recipes submitted are not necessarily family recipes.